Numbers There are 14 products. Number 18 Box for sugared almonds, in polystyrene, choose the size. 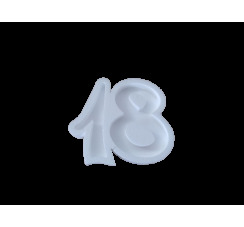 The number 18 box for sugared almonds is a type of concave 3D inscription perfect to fill it with coloured sugared almonds to set up the environment in which to celebrate the eighteenth birthday. The number 18 box for sugared almonds is available in different sizes. Choose the one that's right for you! Save moneyBuying 3 pieces of number 18 sugared almonds box an immediate discount of 15%. In addition, for orders of € 90.00 i.v. you'll get a discount of 10% of the total purchase. Number 2 Box for sugared almonds, in polystyrene, choose the size. 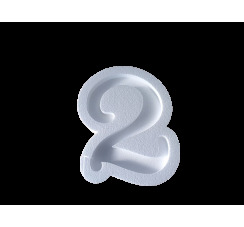 The number 2 box for sugared almonds is a type of concave 3D inscription perfect to fill it with coloured sugared almonds to set up the environment in which to celebrate the second birthday of your child. The number 2 box for sugared almonds is available in different sizes. Choose the one that's right for you! Save moneyBuying 3 pieces of number 2 sugared almonds box an immediate discount of 15%. In addition, for orders of € 90.00 i.v. you'll get a discount of 10% of the total purchase. 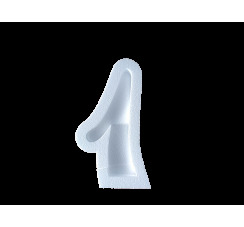 Number 3 Box for sugared almonds, in polystyrene, choose the size. 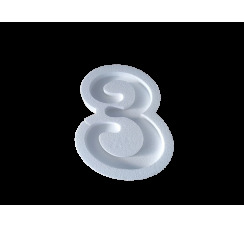 The number 3 box for sugared almonds is a type of concave 3D inscription perfect to fill it with coloured sugared almonds to set up the environment in which to celebrate the third birthday of your child. The number 3 box for sugared almonds is available in different sizes. Choose the one that's right for you! Save moneyBuying 3 pieces of number 3 sugared almonds box an immediate discount of 15%. In addition, for orders of € 90.00 i.v. you'll get a discount of 10% of the total purchase. 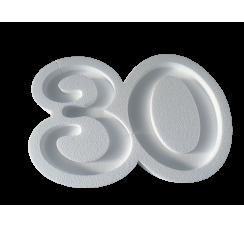 Number 30 Box for sugared almonds, in polystyrene, choose the size. The number 30 box for sugared almonds is a type of concave 3D inscription perfect to fill it with coloured sugared almonds to set up the environment in which to celebrate the thirtieth birthday. The number 30 box for sugared almonds is available in different sizes. Choose the one that's right for you! Save moneyBuying 3 pieces of number 30 sugared almonds box an immediate discount of 15%. In addition, for orders of € 90.00 i.v. you'll get a discount of 10% of the total purchase. 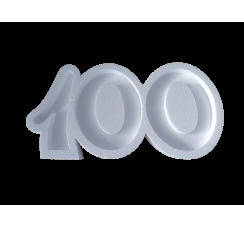 Number 40 Box for sugared almonds, in polystyrene, choose the size. 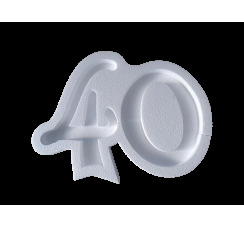 The number 40 box for sugared almonds is a type of concave 3D inscription perfect to fill it with coloured sugared almonds to set up the environment in which to celebrate the fortieth birthday. The number 40 box for sugared almonds is available in different sizes. Choose the one that's right for you! Save moneyBuying 3 pieces of number 40 sugared almonds box an immediate discount of 15%. In addition, for orders of € 90.00 i.v. you'll get a discount of 10% of the total purchase. 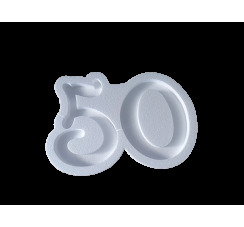 Number 50 Box for sugared almonds, in polystyrene, choose the size. The number 50 box for sugared almonds is a type of concave 3D inscription perfect to fill it with coloured sugared almonds to set up the environment in which to celebrate the fiftieth birthday. The number 50 box for sugared almonds is available in different sizes. Choose the one that's right for you! Save moneyBuying 3 pieces of number 50 sugared almonds box an immediate discount of 15%. In addition, for orders of € 90.00 i.v. you'll get a discount of 10% of the total purchase. 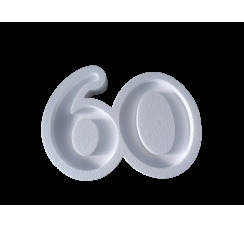 Number 60 Box for sugared almonds, in polystyrene, choose the size. The number 60 box for sugared almonds is a type of concave 3D inscription perfect to fill it with coloured sugared almonds to set up the environment in which to celebrate the sixtieth birthday. The number 60 box for sugared almonds is available in different sizes. Choose the one that's right for you! Save moneyBuying 3 pieces of number 60 sugared almonds box an immediate discount of 15%. In addition, for orders of € 90.00 i.v. you'll get a discount of 10% of the total purchase. 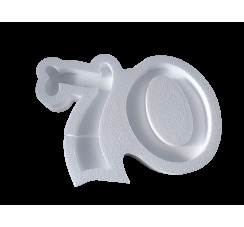 Number 70 Box for sugared almonds, in polystyrene, choose the size. The number 70 box for sugared almonds is a type of concave 3D inscription perfect to fill it with coloured sugared almonds to set up the environment in which to celebrate the seventieth birthday. The number 70 box for sugared almonds is available in different sizes. Choose the one that's right for you! Save moneyBuying 3 pieces of number 70 sugared almonds box an immediate discount of 15%. In addition, for orders of € 90.00 i.v. you'll get a discount of 10% of the total purchase. 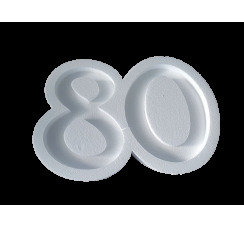 Number 80 Box for sugared almonds, in polystyrene, choose the size. The number 80 box for sugared almonds is a type of concave 3D inscription perfect to fill it with coloured sugared almonds to set up the environment in which to celebrate the eightieth birthday. The number 80 box for sugared almonds is available in different sizes. Choose the one that's right for you! Save moneyBuying 3 pieces of number 80 sugared almonds box an immediate discount of 15%. In addition, for orders of € 90.00 i.v. you'll get a discount of 10% of the total purchase. 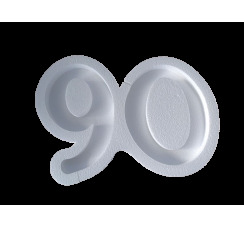 Number 90 Box for sugared almonds, in polystyrene, choose the size. The number 90 box for sugared almonds is a type of concave 3D inscription perfect to fill it with coloured sugared almonds to set up the environment in which to celebrate the ninetieth birthday. The number 90 box for sugared almonds is available in different sizes. Choose the one that's right for you! Save moneyBuying 3 pieces of number 90 sugared almonds box an immediate discount of 15%. In addition, for orders of € 90.00 i.v. you'll get a discount of 10% of the total purchase.